Summer weddings are popular for a multitude of reasons - bright, sunny days, warm weather and wonderful evenings under starry skies all make summer the ideal time to get married. Add in the rich variety of summer wedding colors you see in everything from flowers to gowns and you understand the allure of getting married during the warmest months of the year. 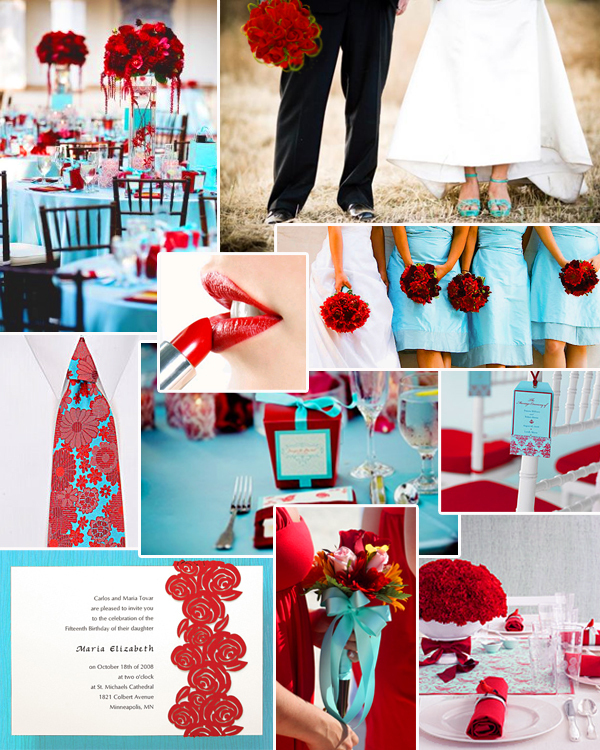 With so many wonderful colors to choose from, narrowing down your summer wedding colors can be difficult. You can literally choose any color of the rainbow during the summer, when so many different flowers are abundantly available. The key to choosing the right combination of colors is finding the ones that best reflect your wedding theme and look smashing together. Keep in mind that even the bright shades for summer can be overdone. Don't go overboard with your summer colors just because you can't decide. Two or three vibrant colors are the most you want, otherwise you risk having a look that is jumbled and overwhelming. If you have two extremely intense shades, it's best to choose a third color that is softer and neutral to act as a foil for your more intense wedding colors. If you're having a beach wedding, you can go in two directions to find colors that capture the flavor of the setting. A beach wedding is casual and relaxed. Since it's all about the sand and surf, consider choosing the cool shades of sea and sky. A bright sky blue or turquoise blue is wonderful paired with the deep blue-green of the ocean, and you can use a soft champagne color to reflect a sandy beach or even the off-white or a sand dollar. If you prefer hotter colors, consider a tropical color palette. Hot pink paired with a vivid orange evokes lush flowers, and either one would look lovely with a lime green, leaf green or a sunshine yellow. To cool things down a bit, silver is a wonderful contrasting shade that is ideal for summer wedding jewelry and accents. If you want more formal summer colors, consider navy blue. This surprisingly versatile color is the same as a deep, dark night sky and can be accented with silver and white for formal elegance. For a bit more color, consider adding the softest of greens, like a new leaf, for a fresh look. 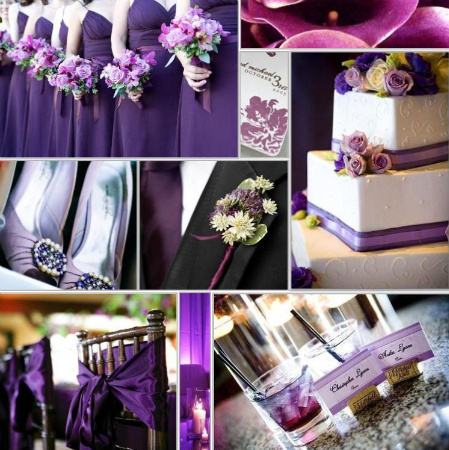 Purple is a stunning summer color that can range from the softest periwinkle to the deep, lush purple of an orchid. You can find a shade of purple that flatters every skin tone and it is dazzling on its own or paired with a contrasting shade for extra punch. You can choose a dark purple and pair it with a soft lavender or a dusky grey/blue shade for a sophisticated style that will be uniquely yours. Blues and purples together in a bouquet against a white gown are gorgeous. Purple can be paired with orange or peach to reflect a sunset sky as well. Decide if you want the second color to be bold (orange) or soft (a pale peach), then choose a purple that coordinates well with it. Do you love the traditional beauty of red roses in the summertime? You're in luck - red goes well with yellows, soft blues and purples, so you have a wide range of choices. The only shade to be wary of when pairing with red is green - you don't want to end up with a look that's too "Christmassy." 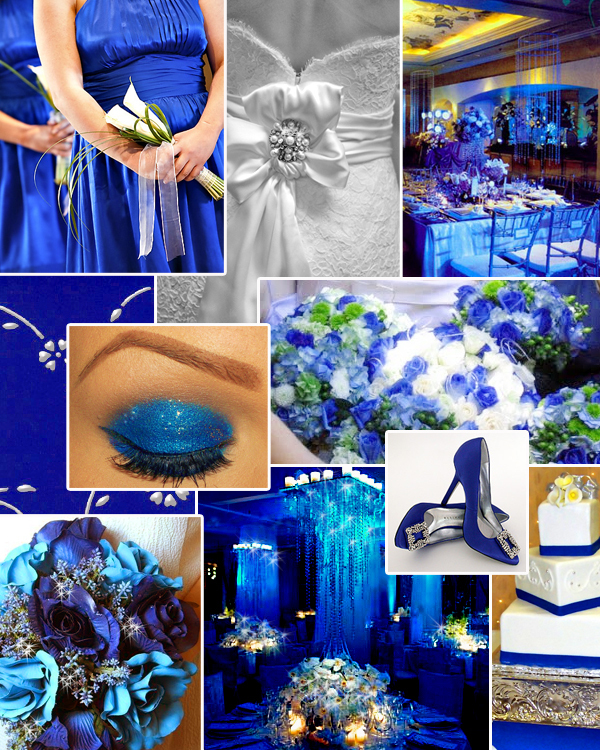 Another favorite summer wedding color is blue. We've already mentioned how lovely it is for a beach wedding, but you can also go with luxurious shades like Tiffany blue or a lovely royal blue. 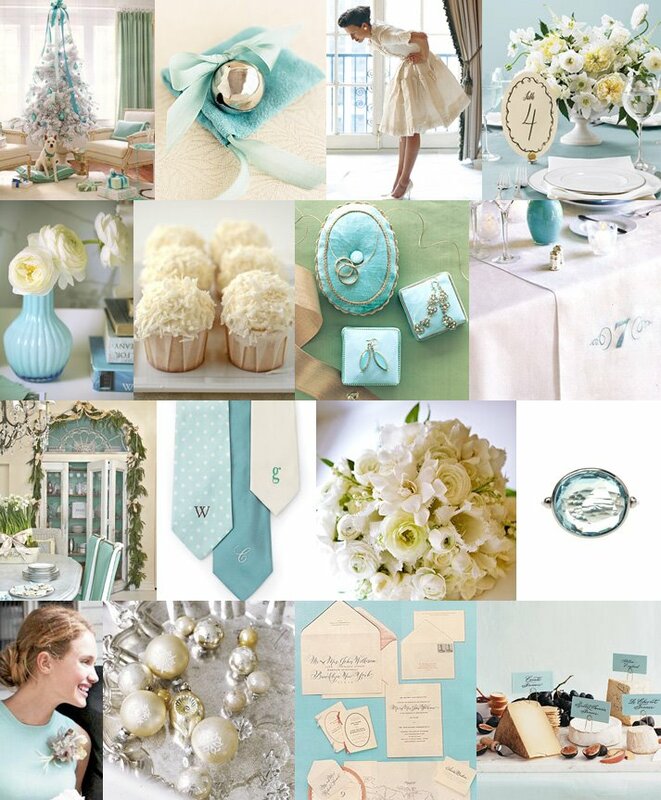 Consider pairing a light blue such as Tiffany blue with brown for the neutral. 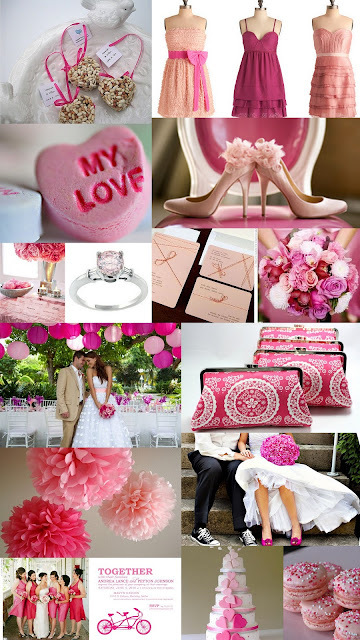 It's unexpected and rich looking at the same time - two elements that are wonderful for summer wedding colors. Or think of irises, which are a deep royal blue, combined with cheerful yellow and white daisies for an afternoon wedding. The final choice for your summer is up to you. Just don't overwhelm and keep your focus. Remember, one or two bold colors balanced by a softer, similar shade or a rich neutral will create the perfect summer wedding color theme that will accent your day beautifully!